Are you looking to upgrade your patio doors? Or perhaps you’re after an entirely new construction for your home. 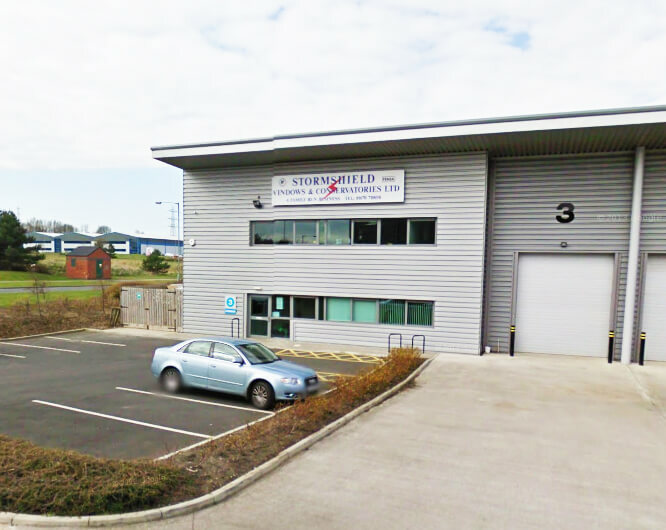 Stormshield has been providing high-quality doors and windows to the people of Newcastle for many years and in that time, we have built up an excellent customer base who return again and again. As the weather starts to get warmer in the coming months, consider new patio doors! They will be perfect for when you’re holding family gatherings or parties in the garden. If you would like a quote on Patio Doors Newcastle then please call us on 01670 710050. 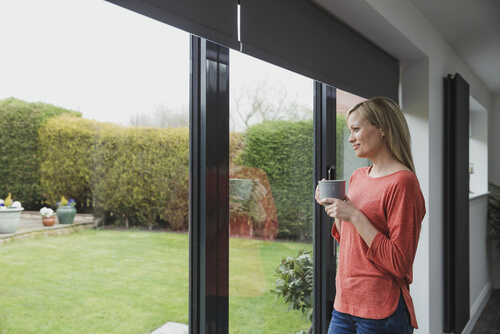 Whether you decide to upgrade your current patio doors or if you’re debating whether to have entirely new ones installed, we have the perfect solutions. There are many benefits of having patio doors! 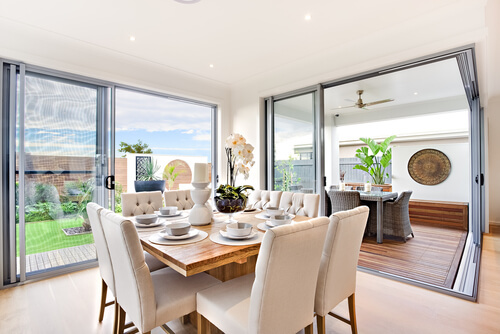 Below we have listed the main benefits that many people see as a priority, however, there are many more benefits to patio doors in addition to these. Making your property appealing to potential buyers in the future is a major thing to consider when upgrading any part of your home. Patio doors can add great value to your home as they give it extra character and personality, upgrading it to give a brighter and more modern feel. Regardless of the type of patio doors you choose to go with, these types of constructions are a major selling point for buyers, which is important to consider should you someday decide to sell your home. Not only do patio doors open out an excellent outdoor space, but they also look beautiful. We have a wide range of different styles, colours, frames and other features available for patio doors. Specifically, we also have a range of different sliding patio doors so that you have the flexibility to choose from many different variations. Whether your taste is modern, traditional, minimalist or rustic, we are able to tailor the patio doors to your requirements and preferences, so you get a product that suits you and the look you want for your home. By installing patio doors you are likely to save some money on your energy bills. The large glass panels let in the sun’s rays and trap heat, meaning you will use less energy heating your home. This plays a major role in the winter months, when you’re really feeling the cold, as this will add insulation and warmth to your house, without you needing to turn up the heating to the max. Plus, in the summer you will not need to invest in indoor fans, as you can simply swing open your patio doors and let the fresh outdoor breeze inside. Patio doors also let in floor to ceiling natural light, making your home brighter and with less need for artificial lighting, helping you to save money on your electricity bills. Our Definitive Collection includes triple glazing, which can improve your home’s thermal efficiency by up to 40 percent. By installing patio doors that let in more natural light, you will enhance the feeling of space within your home. Light reflecting off surfaces gives the impression of more space, just look at how a room is transformed by adding a large mirror. By letting in more light, your rooms will look bigger, improving the appeal of your home. For a free, no obligation quote on patio doors in Newcastle, get in touch with our team today on 01670 710050 or fill out our contact form. Depending on your choice of style, we have several different types of patio doors to suit every property. To view our patio doors Newcastle brochure, click here. French doors enhance the flow of light into your home. They are available in a range of styles and finishes to fully complement your home’s aesthetic. 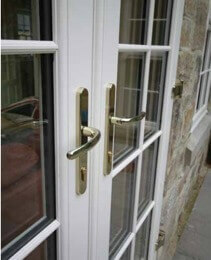 Our french doors are highly durable and very secure. They are also quick and easy to install. You can choose opaque or clear glass, depending on the level of privacy you require. French doors look beautiful and are extremely practical, making them an excellent investment for your home. Another great way to maximise the light in your home, sliding patio doors look brilliant in place of standard doors or windows. Allowing a seamless transition between your outdoor and indoor space, sliding doors offer a beautiful view of your garden throughout the year and provide easy access as they gently and effortlessly glide open and closed – no banging doors here! Our bi-folding patio doors are available in aluminium and PVCu. Combining beauty with practicality, these types of patio doors are characterised by their concertina type folding mechanism. Our PVCu bi-fold doors are rated A for energy efficiency and are very low maintenance. For patio doors that suit your home and your taste, we have a wide range of colours, styles and finishes to choose from. Come down to our showroom to see our range of patio doors and to discuss your options with some our helpful sales team. We can offer a range of different frame colours for your patio doors. This allows you to tailor your patio doors to your preferences and so you’re able to personalise them in a way that suits your home and your own unique style. All our hardware range is sourced from the same, top quality supplier, so you can be sure that you’ll receive the best standard of finish every time. As the weather gets warmer, you will continue to see the value in installing patio doors. Not only are they stylish and beautiful, but they also help you make the most of your property by helping to bring the outdoors in. Perfect for summer evenings, Sunday barbecues and afternoons with the kids playing outside. Patio doors are the smart, practical choice for your home. To find out more about our range of patio doors in Newcastle, call us today to speak to one of our expert team. All of our doors and windows are fitted by highly trained professionals in our team who have been fitting them for many years. We have experience in all types of doors, windows, roofs and conservatories. The most commonly fitted lock systems we use are Yale or ATK, meaning you have the extra security in your home. You can have the peace of mind that your house is well protected by having some of the best and most effective locking systems in place. With our many years of experience and scores of happy customers, Stormshield is the only choice for patio doors in Newcastle. Our expertise combined with our excellent customer service ensures our customers return to us again and again, so put your trust in us and we won’t disappoint! We can supply and install the best Patio Doors Newcastle. Please get in touch with our team today for more information on the services we offer or visit our showroom. We will be able to supply you with a quote as well as expert advice on your patio doors.